Since I directed you to a rather intense photo of myself and my hair yesterday, I thought today would be a great day for another Flashback Friday post. These pictures pre-date my adventures with Sun-In, and I share them not really because of what I look like, but because I happened to have one of my parents in this set. 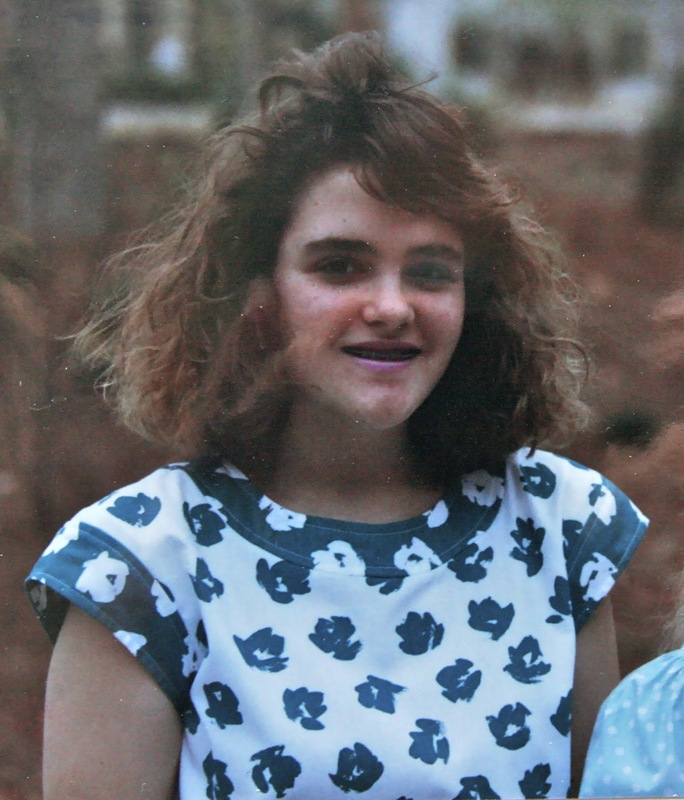 I mean, I looked pretty much like all of my friends in April of 1988. Perm. Ginormous bangs. Frosted lipstick. Braces. Teal eyeliner. Chin zit. Okay, I WAS carrying around the eyebrow equivalent for three girls my age, but I hadn't discovered eyebrow waxing yet. Patience, grasshoppers ... patience. What is so significant to me about 1988 is that I was 15, my mom was 38 and my dad was 45. Um. Exsqueeeze me? Today I am 40 and Grayson is 43. SO PARDON MY LITTLE COME-APART IF YOU WILL. It's just hard for me to wrap my head around the fact that I was in high school, I have really vivid memories of my parents at this point, and they were then basically the ages we are now. Scratch that, MY MOM WAS YOUNGER THAN I AM NOW. When I combine that with the fact that I will be 44 when Amelia starts kindergarten -- nearly 20 years older than some moms of kids in her class -- I want to find the nearest hole and crawl in.